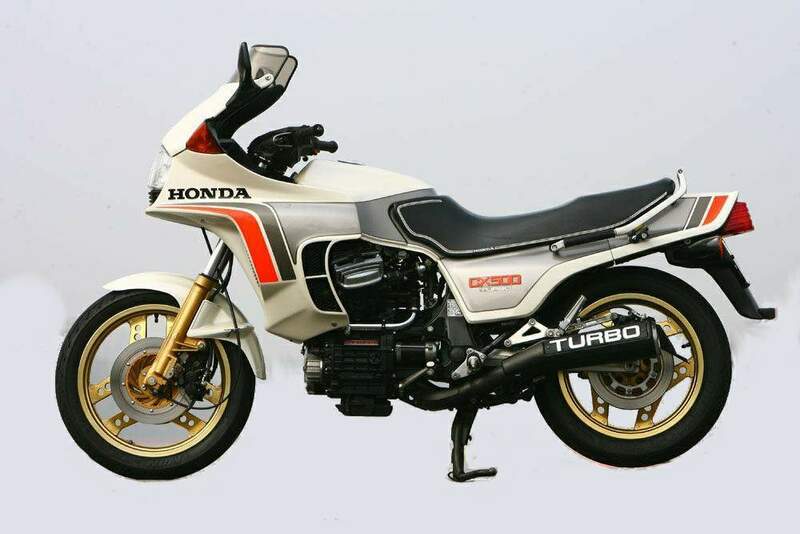 The CX500 Turbo with which Honda stunned the motorcycle world in 1982 was one of the least likely bikes ever to be put into production. The turbocharged V-twin was large, heavy, complex and expensive. 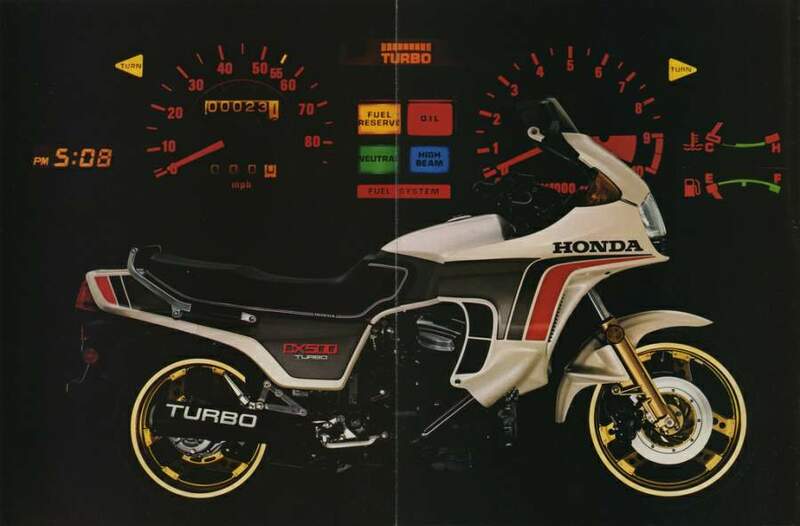 From the moment it was unveiled, many observers regarded the Turbo as more of a corporate statement than a serious superbike. Honda's ostentatious V-twin was the first of the string of turbocharged machines that would see all of the big four Japanese manufacturers try their luck with forced induction. The Honda was the most curious in its choice of powcrplant. Turbochargers. which use exhaust gas to compress the intake charge, arc best suited to large engines that operate at a steady load: the opposite of a motorcycle's situation. In addition, multi-cylinder motors help by smoothing the exhaust flow. Despite this. 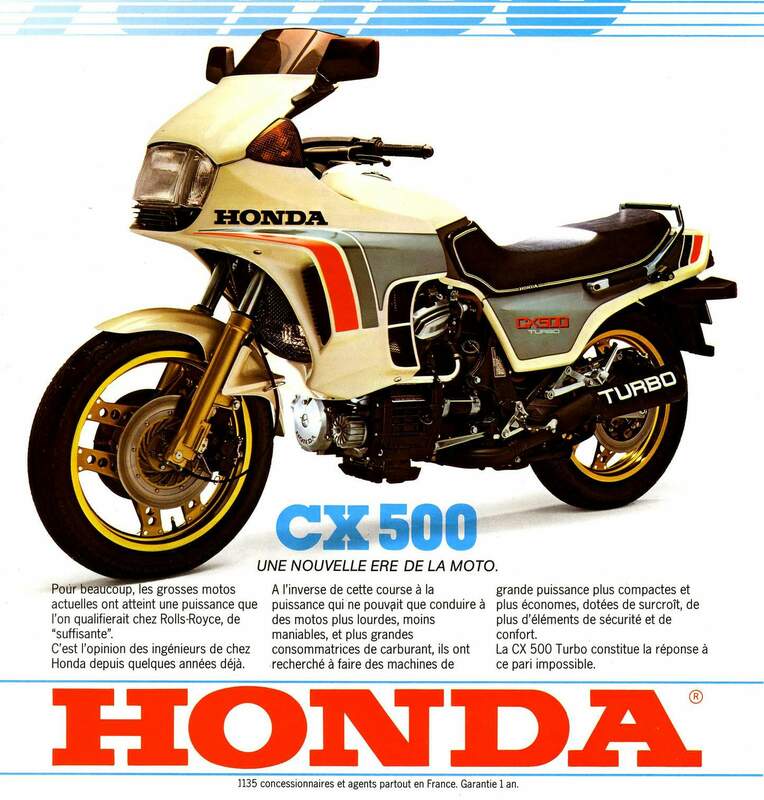 Honda selected their middleweight CX500. an 80-degree transverse V-twin with pushrod valve operation. The CX's small cylinders required the world's tiniest turbocharger, which was built by IHI to Honda's specification. Its rotors measured less than two inches (51mm) in diameter and were designed to spin at 200,0001pm. The CX's crankcases were strong enough to be retained, but much of liquid-cooled engine was uprated. 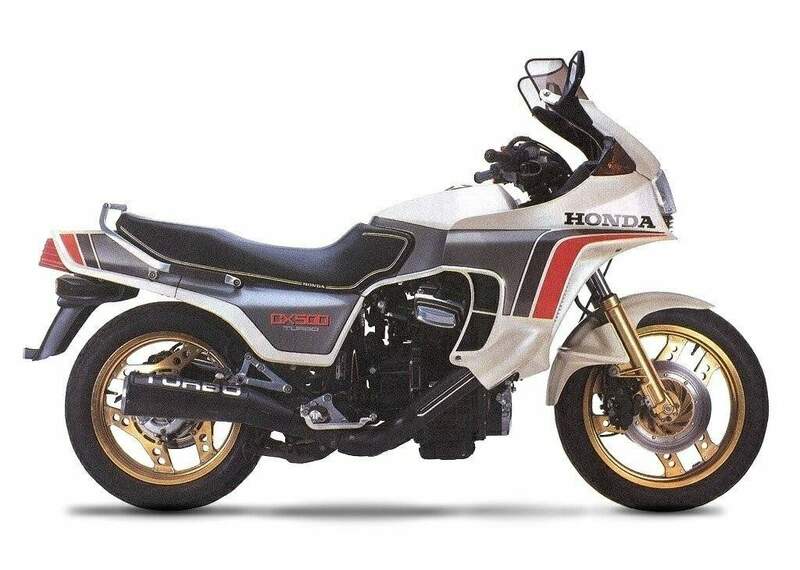 A stronger crankshaft, clutch and conrods, plus Honda's first production-specification forged pistons, all helped to keep it together when the turbo increased peak power from the standard CX500's 50bhp to the Turbo's 82bhp at 8000rpm. Honda's work by no means ended with the power plant. The CX was a rolling showcase for other technical achievements, including its digital ignition and fuel-injection system. Pro-Link rear suspension. TRAC anti-dive, twin-piston brake calipers and redesigned Comstar wheels. In addition the fairing, with its lipped screen, enormous headlamp and integral indicators, was undeniably stylish. It held a sophisticated instrument console that contained a clock and fuel gauge, as well as the turbo boost gauge. The fairing worked well. too. allowing highspeed cruising in comfort. The CX also handled very well considering its fuelled-up weight of over 5501b (250kg). But for such a big. expensive bike the Turbo was only moderately fast. It was good for 125mph (201km/h) but its acceleration was marred by all that weight. And the engine also suffered from turbo-lag. the intrusive delay between throttle opening and engine response which made precise throttle control difficult. For long-distance riding at speed the Turbo was impressive even so. but it was not so outstanding that its weight, complexity and expense were overcome. A year later, in 1983. 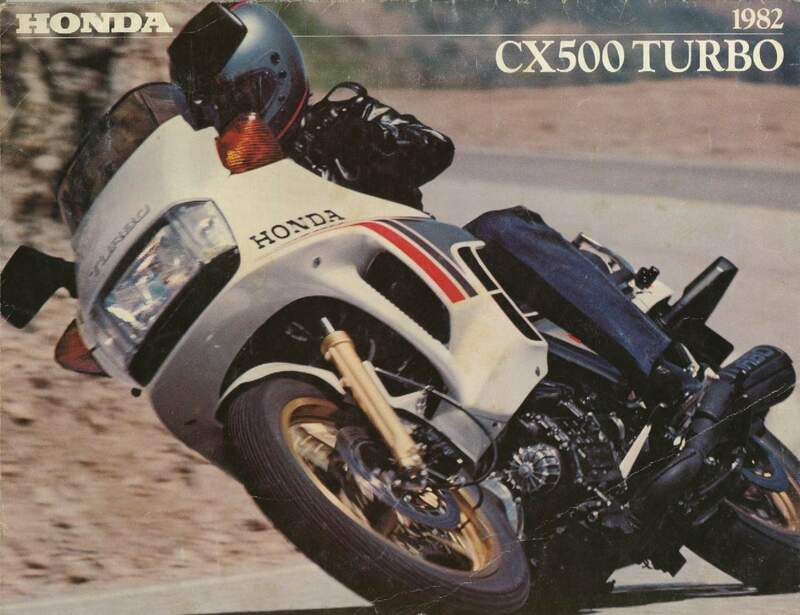 Honda followed it with the CX650 Turbo, which had less lag plus a substantial power increase that gave thrilling acceleration and a top speed of 135mph (217km/h). The bigger model was an even better grand tourer. But it was still not a sales success against simpler, cheaper rivals, and remained in production for only a year. The last, fastest and best of the Japanese turbo-bikes was Kawasaki's ZX750 Turbo of 1984. 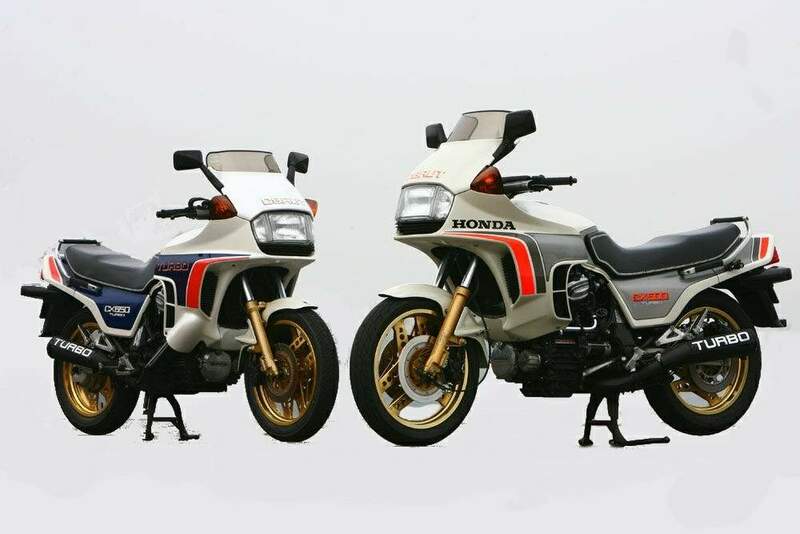 Like Yamaha's XJ650 Turbo and Suzuki's XN85 (which also had a capacity of 650cc) the ZX was an in-line four. In style and chassis layout it resembled Kawasaki's GPz1100. Peak power was 112bhp, and the Kawasaki had very little turbo lag because its turbine was in front of the engine, so exhaust gas travelled a short distance before reaching it. 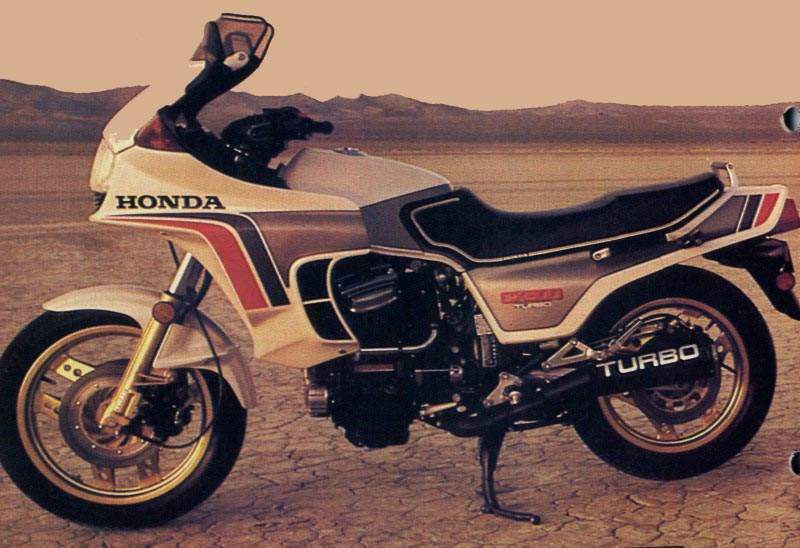 With fine handling and a top speed of almost 140mph (225km/h), the ZX750 Turbo had comparable performance to the GPz1100. 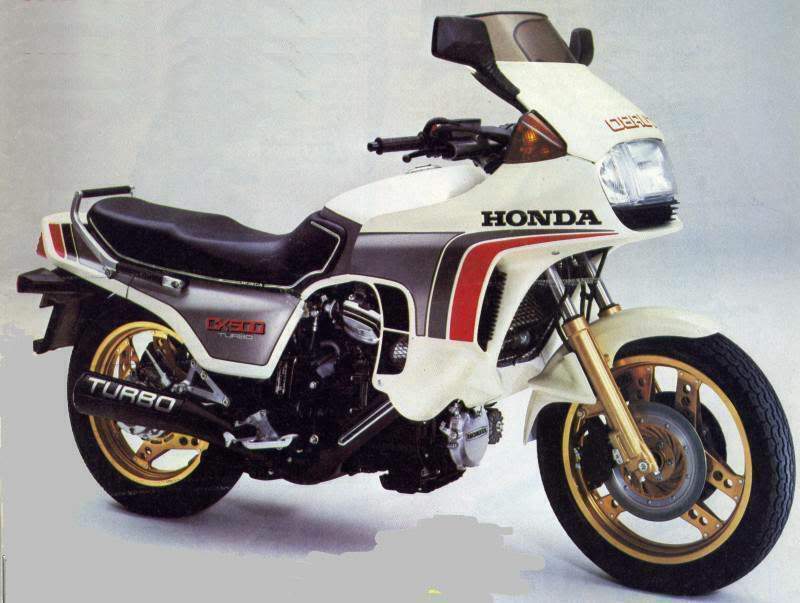 It sold in reasonable numbers before Kawasaki, too, finally abandoned turbo-bike production.